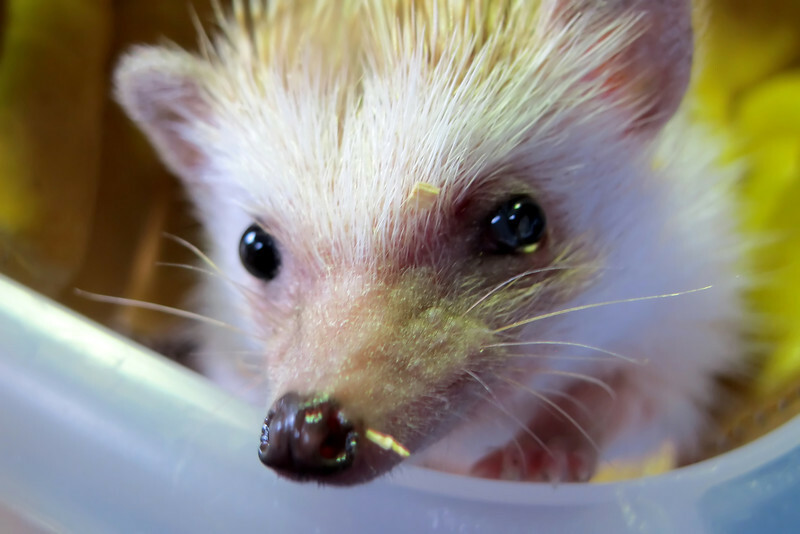 This is Margo the African Hedgehog from the Oregon Zoo...She and her sister put in a personal appearance at Zoolala on Saturday night..She was quite determined to get out of her box and escape but her human kept her in check..What would a hedgehog do in Portland anyway? They are about 6 inches long with short quills that feel like nylon..Smile Margo! It looks like Margo is trying to chew her way through the box. Neat shot.